Anjali Bansal, a partner at TPG Growth, the mid-market growth equity investment platform of US-based private equity firm TPG, is moving into a senior advisory role. Bansal had joined TPG Growth as a partner in July last year. A more flexible role will allow Bansal to pursue entrepreneurial opportunities, the firm said in a statement. Bansal, who launched the India operations for global executive search firm Spencer Stuart, has earlier worked with managent consulting firm McKinsey and currently serves on the boards of GSK, Bata, and Voltas. “TPG is building a dynamic platform in India and emerging markets,” said Bansal. “I appreciate and look forward to the continued association as a senior advisor and to collaborate in new ways to explore the investment and business opportunities across India,” she added. Bansal completed her graduation in computer engineering from Gujarat University. 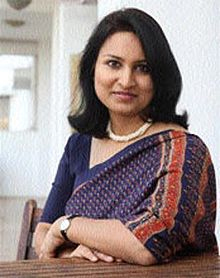 After a brief stint at the Indian Space Research Organisation, she completed her post-graduation in International Affairs from Columbia University, where she majored in international finance and business. She later joined McKinsey in New York. Last year, TPG had also roped in Ravi Dhariwal, former CEO of India's largest media company Bennett, Coleman & Co Ltd, as a senior advisor. Dhariwal joined close to five dozen global advisors of TPG Growth, of which around half a dozen are of Indian origin. Two years ago, TPG had also hired former Fortis Group CEO Vishal Bali as a senior healthcare advisor. Bali is also a co-founder of Medwell Ventures, a startup that runs home healthcare services. It couldn't be ascertained immediately if Bansal will be floating a venture of her own.